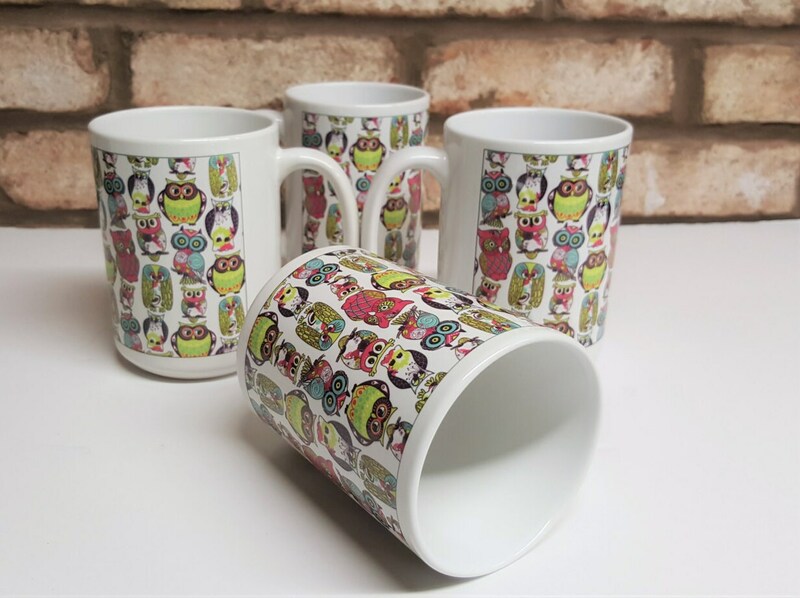 This owl mug set has four large owl mugs. 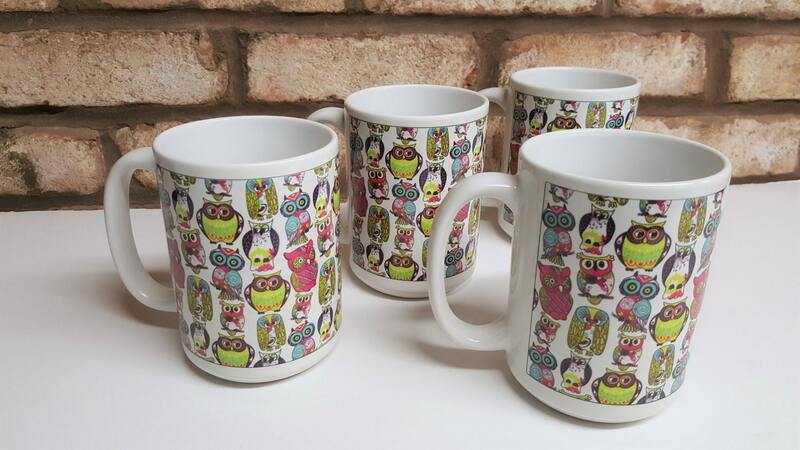 A fun gift for any owl lover! 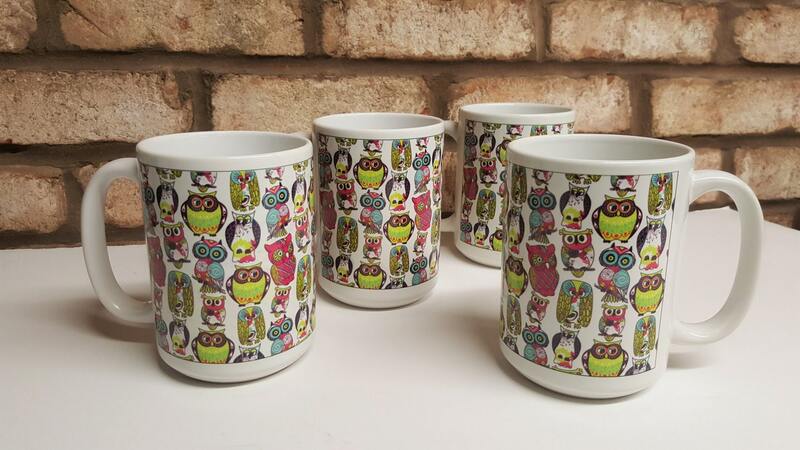 These owl mugs are 15 oz. 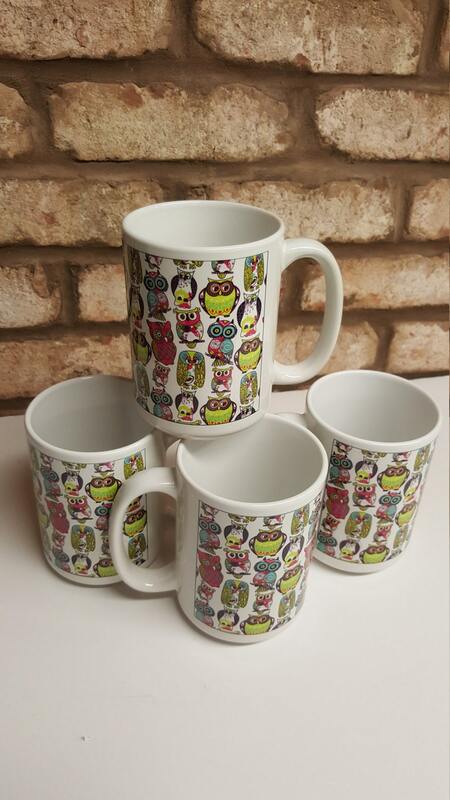 mugs, which are preferred over the 11 oz size by most of our customers. A great Valentine's Day for the owl lover in your life. 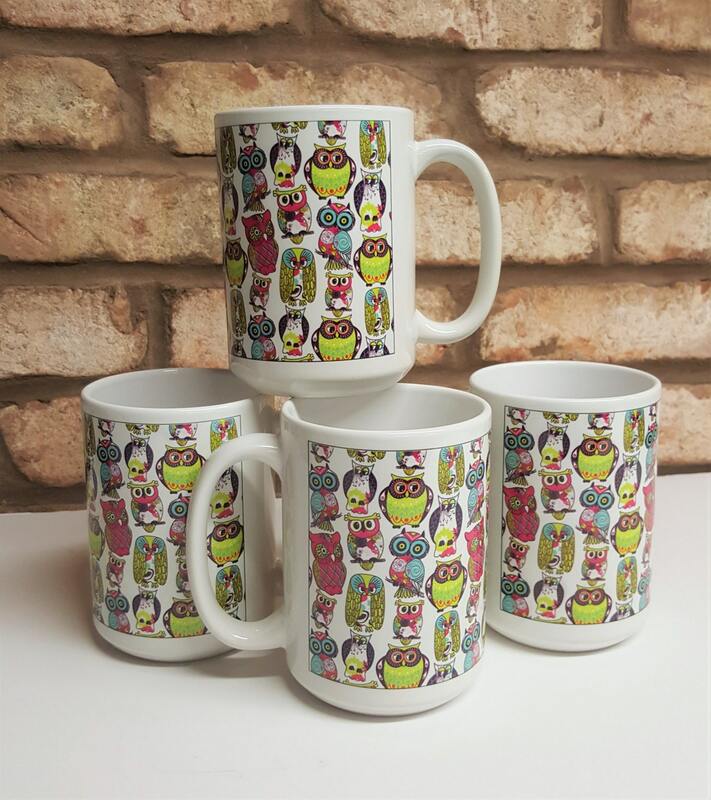 Whether you like coffee, tea, cocoa or any other hot beverage, these mugs are perfect for you.